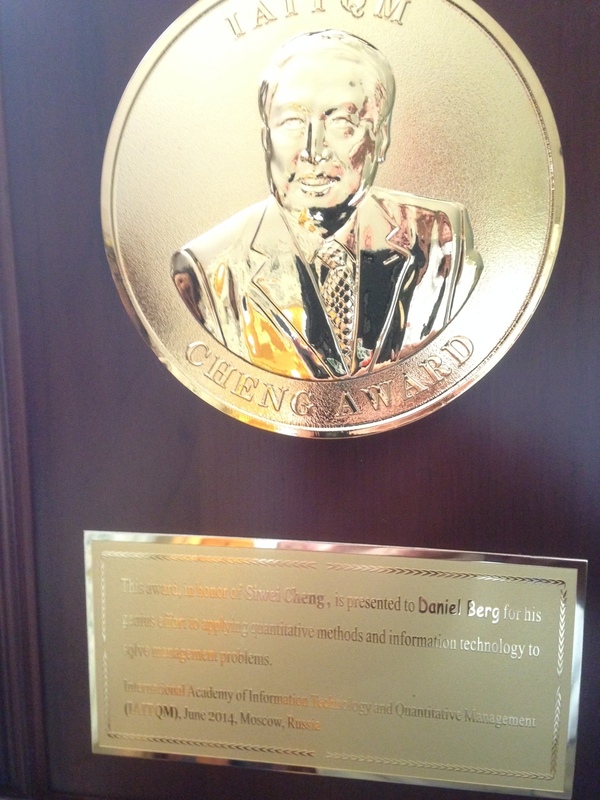 ISE Emeritus Professor Daniel Berg was honored with the Siwei Cheng Award at the International Academy of Information Technology and Quantitative Management ( ITQM) held on June 3-5 in Moscow, Russia. The award was named after Dr. Siwei Cheng, a renowned economist in China. Dr. Cheng personally presented the award to Dr. Dan Berg at ITQM 2014. The citation of the award states: "The award, in honor of Siwei Cheng, is presented to Daniel Berg for his genius efforts in applying quantitative methods and information technology to solve management problems".